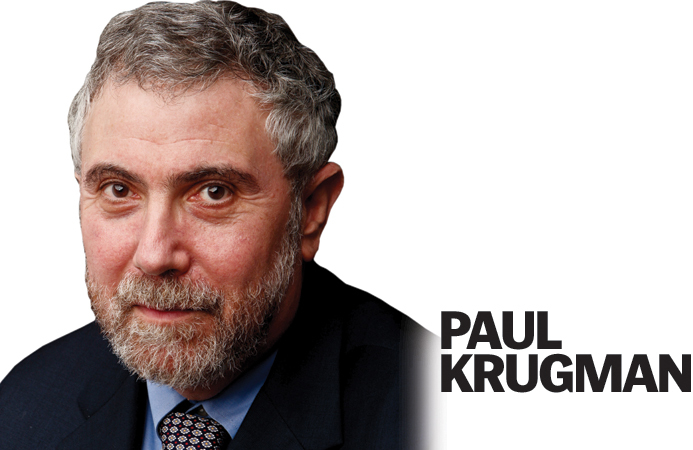 This op-ed piece by Paul Krugman does a clear and succinct job of explaining the power of the American Legislative Exchange Council (ALEC) over legislative action at the state and even at the local level. The reason this clear and compelling op-ed piece is important for readers of this blog is that ALEC has been instrumental in persuading (read “paying”) state legislatures to increase their support of publicly funded charter schools (with no citizen oversight), vouchers, and parent “trigger” laws. Another example of why those interested in meaningful educational reform must also concern themselves with the overridingly important issue of the influence of money in politics–particularly at the state level! Two years ago Kansas embarked on a remarkable fiscal experiment: It sharply slashed income taxes without any clear idea of what would replace the lost revenue. Sam Brownback, the governor, proposed the legislation — in percentage terms, the largest tax cut in one year any state has ever enacted — in close consultation with the economist Arthur Laffer. And Mr. Brownback predicted that the cuts would jump-start an economic boom — “Look out, Texas,” he proclaimed. But Kansas isn’t booming — in fact, its economy is lagging both neighboring states and America as a whole. Meanwhile, the state’s budget has plunged deep into deficit, provoking a Moody’s downgrade of its debt. There’s an important lesson here — but it’s not what you think. Yes, the Kansas debacle shows that tax cuts don’t have magical powers, but we already knew that. The real lesson from Kansas is the enduring power of bad ideas, as long as those ideas serve the interests of the right people. Why, after all, should anyone believe at this late date in supply-side economics, which claims that tax cuts boost the economy so much that they largely if not entirely pay for themselves? The doctrine crashed and burned two decades ago, when just about everyone on the right — after claiming, speciously, that the economy’s performance under Ronald Reagan validated their doctrine — went on to predict that Bill Clinton’s tax hike on the wealthy would cause a recession if not an outright depression. What actually happened was a spectacular economic expansion. Nor is it just liberals who have long considered supply-side economics and those promoting it to have been discredited by experience. In 1998, in the first edition of his best-selling economics textbook, Harvard’s N. Gregory Mankiw — very much a Republican, and later chairman of George W. Bush’s Council of Economic Advisers — famously wrote about the damage done by “charlatans and cranks.” In particular, he highlighted the role of “a small group of economists” who “advised presidential candidate Ronald Reagan that an across-the-board cut in income tax rates would raise tax revenue.” Chief among that “small group” was none other than Art Laffer. And it’s not as if supply-siders later redeemed themselves. On the contrary, they’ve been as ludicrously wrong in recent years as they were in the 1990s. For example, five years have passed since Mr. Laffer warned Americans that “we can expect rapidly rising prices and much, much higher interest rates over the next four or five years.” Just about everyone in his camp agreed. But what we got instead was low inflation and record-low interest rates. So how did the charlatans and cranks end up dictating policy in Kansas, and to a more limited extent in other states? Follow the money. For the Brownback tax cuts didn’t emerge out of thin air. They closely followed a blueprint laid out by the American Legislative Exchange Council, or ALEC, which has also supported a series of economic studies purporting to show that tax cuts for corporations and the wealthy will promote rapid economic growth. The studies are embarrassingly bad, and the council’s Board of Scholars — which includes both Mr. Laffer and Stephen Moore of the Heritage Foundation — doesn’t exactly shout credibility. But it’s good enough for antigovernment work. And what is ALEC? It’s a secretive group, financed by major corporations, that drafts model legislation for conservative state-level politicians. Ed Pilkington of The Guardian, who acquired a number of leaked ALEC documents, describes it as “almost a dating service between politicians at the state level, local elected politicians, and many of America’s biggest companies.” And most of ALEC’s efforts are directed, not surprisingly, at privatization, deregulation, and tax cuts for corporations and the wealthy. And I do mean for the wealthy. While ALEC supports big income-tax cuts, it calls for increases in the sales tax — which fall most heavily on lower-income households — and reductions in tax-based support for working households. So its agenda involves cutting taxes at the top while actually increasing taxes at the bottom, as well as cutting social services. But how can you justify enriching the already wealthy while making life harder for those struggling to get by? The answer is, you need an economic theory claiming that such a policy is the key to prosperity for all. So supply-side economics fills a need backed by lots of money, and the fact that it keeps failing doesn’t matter. And the Kansas debacle won’t matter either. Oh, it will briefly give states considering similar policies pause. But the effect won’t last long, because faith in tax-cut magic isn’t about evidence; it’s about finding reasons to give powerful interests what they want.